We’re counting down: 6 days to go. Time is slowing down in that torturous way when the number of sleeps until Christmas and your birthday gets into single digits. I just want it now. 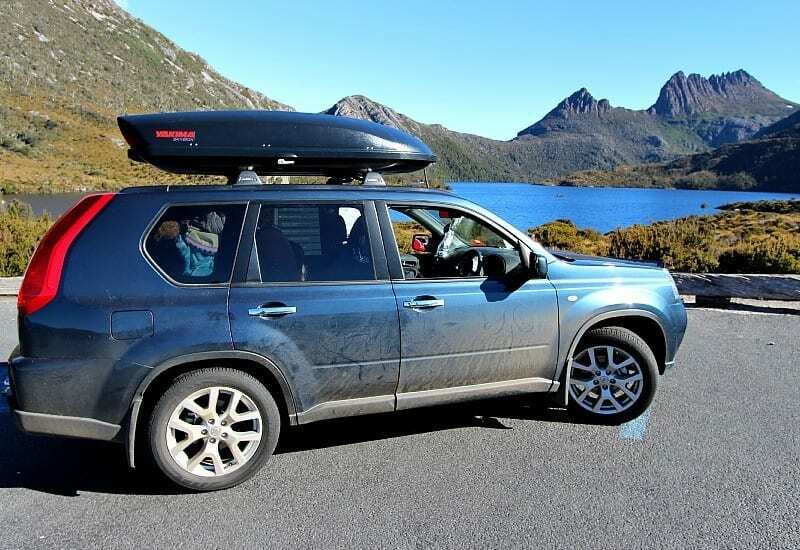 We did plan on having a camper trailer from the beginning of our Australia road trip, but some factors outside of our control meant we took off with just our Yakima Skybox, which has been fine, up until now. 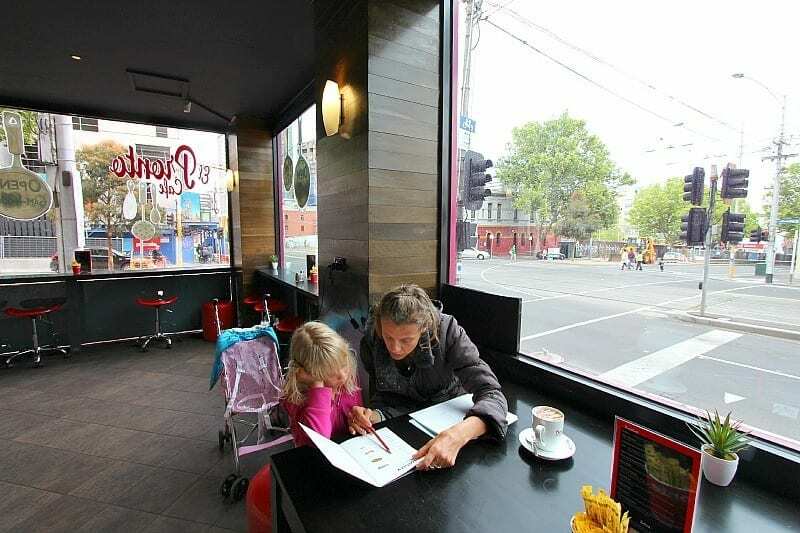 It gave us the experience of traveling Australia without a camper trailer so we can compare accommodation options such as camping, hostels, cabins, apartments, house-sitting and hotels. But, we can now officially tell you via documented evidence that the BEST way to road trip around Australia, with kids, is to have a camper trailer. Especially when you have to homeschool AND run a busy online business. After Tasmania, I laid down the law – we MUST get a camper trailer! It’s taken awhile to organize financing, which is part of the reason we’ve been laying low in Victoria for some time. (We’ve discovered it’s a great state to do just that). We found out last week, the financing has been approved and on March 27 we move into our new mobile home. It’s a big step for us. Since our decline in to hell, we’ve been too frighten to own, or commit to anything. This proves I’m confident and trust myself again. We took our time to make the decision, evaluated our financials, and relied on the signs from the Universe. It orchestrated it all carefully for us and led us to the place where we found a good deal and got some financing, where otherwise, with our business situation, it was a little tricky. We all held hands and danced around in a circle, rain dance style when we signed for it. Kalyra is still dancing. Why is a camper trailer the best way to road trip Australia with kids? How many f-bombs can you say in one sentence? This is what it’s like packing and unpacking every few days when you don’t have a camper trailer. In and out of hostels, apartments and campsites was driving us all insane. It was taking at least 2 hours for each pack/unpack. That’s four hours of our day each time we move. For time-pressed people this is insane. When you have a camper trailer, you pop up the roof and pull out the beds and you’re done. No packing our unpacking needed as it’s all set up inside already. Plus, when you travel with two young kids the extra storage space is going to be awesome. Our camper trailer also comes with an attached annex so extra living and playing room for the kids, especially on wet days! With our camper trailer, we don’t have to plan too much. We’ll just pick a caravan park we like, a free camping ground, or a beach car park and pull up. Sure, you have your initial outlay, which is expensive. 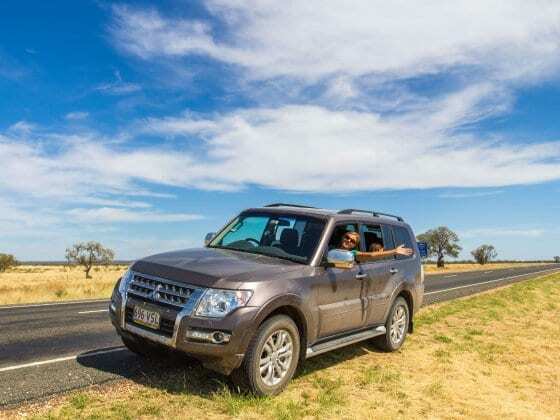 But, if you buy the right brand and model they have great resale value, so at the end of your trip, should you wish, you can sell it and recoup most of your costs. We’re also purchasing solar panels, so free camping won’t be a problem. Should we head to the caravan parks for more of a village atmosphere, we’ll book a non-powered site and pay around $35. As we’ll have better storage and cooking facilities, we will save with self-catering instead of spending a ton on eating out as well! This is more for the girls, although as a digital nomad, I prefer a little more stability. Our girls are pretty adaptable, but they are also still young so love the idea of having a more permanent home. Trying to get the girls to sleep of an evening has been a nightmare because they move from tent to bunk beds to single beds, to air beds. New environment, new things to discover all the time. The bed time routine always gets easier the longer we stay in an area, so we’re sure once the excitement of having our camper trailer is over, the night time horrors should move to bliss. I will miss the cuteness of Savannah asking, “Is this my house, Mummy?” with each new place we go. Even if it is a museum room showcasing how people lived 100 years ago. And the girls are really excited about getting their own princess doona cover with matching pillows. We just don’t have the space to be organized properly. I’m so tired of my kitchen being in different plastic tubs. We’ve been camping a lot, but we’re not set up for long-term camping. The girls have a pile of lonely one shoe hanging around, because their partners are buried somewhere in the car, and cause we change places so often, I don’t have the strength to go looking for them. I can’t stop thinking about my drawers and cupboards that are neatly organized. When I want to put some cayenne pepper in my morning tonic, I don’t have to dig around for 15 minutes trying to find it. We have 2 children, one being home-schooled, and an online business. We need a lot of stuff. There’s only so much we can fit in our car and at the moment we are packed in and claustrophobic. I don’t want to travel any more with only a backpack of possessions. I want a little more like a hammock, comfy camp chairs, a BBQ, bikes and work desks. No more slumming it. Camper trailers allow for a little more home comforts. We’ve still got at least a year around Australia, and we’re going into the big wide expanses, we want this to be a calmer, more relaxing experience. Managing any kind of routine when you are constantly changing is extremely difficult. We have far too many things to manage to not have some sort of routine. I’m dying to start my morning in the same way each day: early rise, meditation + yoga, a bit of blogging, healthy breakfast, a bit of school work, and then exploration for the day. It’s been difficult to maintain any sort of healthy eating and exercise plan which is really affecting our health, energy levels and moods. I’ve been planning for a week of healthy meals, and then we’ll stay at a place that has no oven, or refrigerator, and there goes my healthy cakes, or we move so quickly that I couldn’t be bothered taking out that tub with all my healthy ingredients so we go for fast food. Craig and I are not happy with the spare tyres we’re starting to drag around with us. Seriously. As soon as we get the camper trailer, it is a 3 week cleanse and cleaner living. Homeschooling Kalyra is challenging enough as it is. Not having a set routine or learning space for her makes it so much harder. Now all her materials and resources will be in the one place and we’ll set up a lovely learning area for her. We’ll also have an area set up for Savannah to do at the same time. It will also be better for us with our online business to have everything we need organized in one place and create a lovely office space – decent chairs and tables and some sacred crystals surrounding me for extra thinking juice. Now to just speed up time so we can get started. You’ll be hearing our squeals of joy and tears of relief when we drive out of Geelong, in our new home. We’re stocking it up with goodies from Costco and starting the adventure in the proper way. We won’t be giving up apartments and hostels for good. We still prefer these accommodation types in cities, and for the needed extra space when we start to get on each others’ nerves. (which lately has been frequent!) Plus we have upcoming campaigns with various state tourism boards where we’ll experience unique properties. We’ll be sharing lots about the caravanning lifestyle for the rest of our Australia road trip so let us know in the comments what you want us to share. And please, share your own camper trailer tips. I think this is a very sensible decision, especially given the fact that you guys will be on the road for a long time. We love doing road trips, but they tend to get laborious towards the end (and the longest we have done is only 3 weeks). Can’t wait to see what pros and cons you discover of this big move 🙂 My brother lives in Sydney and a long(ish) trip to Australia is on the cards for us. We have already started collecting tips from your posts ! Love the bush in general, no matter which way you get out of the cities. I love heading up North from Perth into the desert, you’ve never really seen the stars till you camp out in the bush. No pollution, no light and no noise, make for a pretty amazing experience. Best way to do Oz is to drive it (except for fuel prices!). Camper trailer vs caravan? Can’t wait to be taken on a tour of your trailer. Sounds like it will make your trip more relaxing. Camper trailer. We find caravans too boxy and closed in. Our camper trailer makes you feel like you are more in touch with nature. Yes it can. Over it. And the extra storage is going to be awesome!! Packing and unpacking things are the most stressful things to do! Glad that you purchased a camper trailer, it would really bring you a lot of comfort. Good on you for making a change when you realized you needed one. We are currently housesitting for someone we know in a massive house. It’s going to be strange going back to being in one bedroom or even studio apartments/hotel rooms! I’m very excited to hear you’re purchasing a camper. I have been following your blog for a while because you have great ideas and inspiration for us, especially with regard to traveling with children. My husband, 3 year old son, and I are about to leave for a month long trip in our 1967 Aristocrat LoLiner down the Pacific coast in California, through the southwest, to Austin. We sold our house and are in the process of selling the last of our things and plan to leave in a month. We will be traveling in and out of Austin in the camper and other North America destinations for the remainder of the year then plan to get One World Explorer tickets and take off around the world in 2015, with Australia, NZ and Tasmania being one of our first destinations. You have been a huge inspiration for that part of our journey. We toyed with the idea of getting a camper to travel around OZ as well while there so I’m thrilled to see you guys doing it and making it work. Best of luck to you. I just started a blog so it’s not much to see yet, but I’ll be documenting OUR travels in the trailer as well. I hope someday we might cross paths on our journeys. I’ve enjoyed following yours so far. So awesome Teresa!! I’m so excited for you and am stoked weve helped to inspire you and to come Down Under. You will love it. We’ll need to be following your blog, because we are planning a US road trip straight after our Aussie one!! You guys posted a while ago that the girls weren’t sleeping well and I thought the continual change in accommodation was probably the culprit. Having a camper trailer and a permanent set of 4 ‘walls’ to sleep in will do you all the world of good for your own sense of place within the new environments you are exposing yourselves to daily. We have been travelling in our camper trailer with two kids (4 and almost 2 years old) for 3 weeks of our 10 month trip, and they sleep like angels. It took our youngest a few nights to become really settled (he still wakes up maybe once during the night, but this is mostly due to him being stuck up one corner of the portacot – Phil and Teds- and resettles instantly ) and the sameness of our possessions and again, the four ‘walls’ feels like home. We have to wake them up at 7.30am sometimes- they sleep that well – you’re almost there!!! Congratulations on your purchase- I can’t say the packing and repacking thing gets much better- at least you’re not carting it up/down steps, trying to fit everything into the car etc… We seem to be getting extra room all the time, or are at least making better use of existing space. At the moment it’s still an hour to set up and almost two to pack up though we have definitely halved the time from our first set up and down (two and 4 hours respectively). Anyway, life is good in a camper trailer. Enjoy!! Oh for sure! I still expect to have some unpacking/packing time but as you say it’s not trying to cram it into the car and put it all in boxes, and up and down the steps– so exhausting when you have kids. I’m so happy to hear of your positive experiences, especially in relation to sleep. I’m sure the girls are hanging out for it as much as me! I’m even more excited now. Thanks for sharing- 5 more sleeps! Great decision guys. 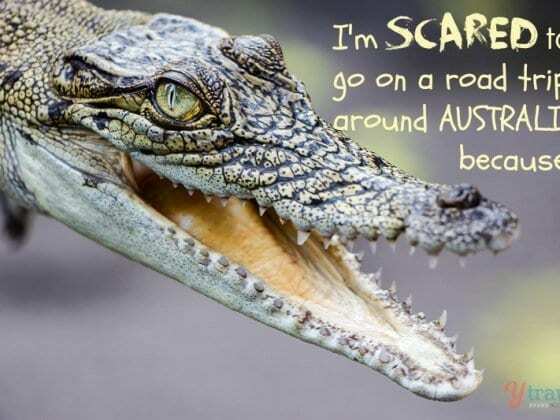 We went on a 3 month NT & WA road trip last year with our three girls and the camper trailer we borrowed was brilliant. So nice to have the extra room and a familiar bed every night. I would love to have one of our own for easy getaways. My one tip would be to get some 4WD camping mats (perhaps two singles) that fit on top of the main camper trailer mattress when the camper is packed up. That way all you have to do to set up the girls beds is to pull the camping mats off the main bed, onto the floor and your ready for bed. We were able to leave sleeping bags on the main bed too. It makes life really easy when you arrive. Have a great adventure and I’m looking forward to getting the grand tour of your new camper. Thanks Simone! These are great tips. we will check out those camping mats. What brand of camper trailer did you buy? Great to hear that things are finally working out for you vis a vis your financing for the trailer. It’s a testament to your strength that you’ve made everything work to this date with the difficult living arrangements you’ve had! Totally agree. I love the freedom and stability of our trailer. It allows us to stay in amazing places here in the states without paying for expensive hotels. Last month Santa Barbara steps from the beach and now Moab. We don’t have solar panels but do have a generator. It allows us to camp in the backcountry but still power the computer, lights, microwave etc…I think you’ll love it! You did a great work. This vehicle is most suitable for family travelers. You can visit the places you like the most and stay where ever when there is any requirement. Many thanks for sharing your wonderful experience with us. Keep share. we rented a camper trailer for our trip around Australia as well as the trip around New Zealand and it was perfect!! I love the freedom of having everything with you without un/packing, been able to cook and the no rush of looking for cheap accommodation. I think it’s a excellent decision. YAY!!! You guys have the nice, fancy, shiny version of ours 🙂 We love our Swan, although it seems like we packed an absolute excess of everything so we still have to move so much crap around each time we set up and pack down! We’re slowly getting there though, and sorting what we do and don’t need! It’s a great in-between. I still wouldn’t want to tow a full van, although seeing other families move on and set up much more easily than us does leave a twinge of envy every now and then hahahahaha! Congratulations Caz, I guess you’ll be in your Swan by now! I remember when we first stocked our camper trailer with everything, it was definitely like a shiny new toy for the whole family. It will soon feel like your home away from home, ours certainly does – with so many fond memories etched in its scratches and red dirt stains! 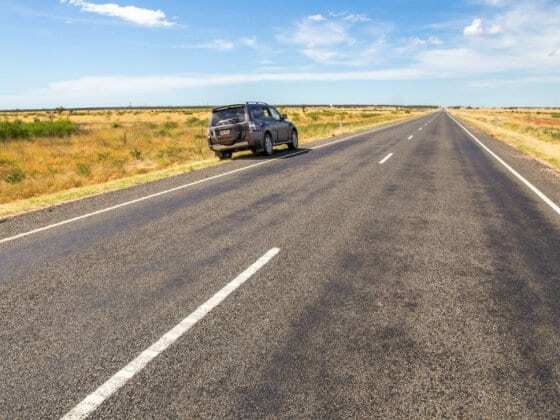 In the kitchen, one thing that I found excellent on our trip around Oz was to use modular Tupperware containers in my camper trailer ‘pantry’ – it meant I could fit almost as much as my pantry and home. I could also store more staples and base ingredients, so we could cook more variety and healthy meals. Plus, it stops ants and mice getting in! Have fun with it and enjoy the next phase of your trip! Great idea, I wanted to do exactly the same thing in two years, during my gap-year!! I’m scared it’ll cost to much and I won’t be able to sell it before I’ll go back to Europe..
We actually bought our camper trailer from a Jayco dealership, so I don’t know much about renting. But, yes under 25 you will get stung with a higher price. Perhaps you can find a travel buddy who is over 25 and catch a ride! Do your research as you might find the cost is worth it. Campervans are tending to be a bit expensive for the limited space you get. The Campertrailer may prove to be a real alternative there. – How did you manage your luggage? Living out of your suitcases in the back of your car or did you manage to organise, your clothes, equipment, … in your campertrailer? The disadvantage of a smaller campervan is that you are constantly moving your stuff from left to right, wondering how it is in a camper trailer. – How is a Campertrailer at night when the weather isn’t too fantastic, windy, rainy, … . Is it ok or are the kids constantly waking up since the only thing separating you from the outside is a piece of tenting? 2. The camper trailer is pretty good at night. The kids sleep fine. We’ve only had one night with really bad winds, which kept us awake, but not the kids. The rain hasn’t bothered us. WE have a small heater for those really cold mornings. No leaks. We’ve had a night of rain since putting them up and all good. WE keep the skyboxes on the floor or on the couch. There’s a fair bit of room when you pack it down. We’ve got a lot of stuff and fit it in. It’s funny that I came across this post. Now I need to go back and read about the rest of your trip to see how things are going. This summer, we are looking to take a trip with our kids and have talked about a camper trailer. To me, this seems like an ideal option. Yes! We will publish a post with our thoughts on this soon. If we did it again, and could afford it (although it’s much more expensive) we’d have gotten a caravan, rather than a camper trailer. It all depends on your travel style, but we were moving about every three days, often less. It meant we spent a lot of time packing up and setting up. It was too exhausting and we didn’t really have the time to spare. Plus caravans have more room and a little more comfort. After a year in the camper trailer we were longing for it! !